Are Snow Days Pay Days in Massachusetts? Whenever the forecast calls for a significant winter storm many of us secretly hope for the return of a favorite childhood tradition: the snow day. Given the prevalence of snow storms in the Boston area many employees indeed have the opportunity to enjoy a snow day or two every year. However, many employers are left facing the question: am I legally required to pay my employees for a snow day? The answer turns out to be complicated. Two key factors must be considered: first, whether the place of employment remains open or closes; and second, whether employees are exempt employees (generally employees on salary) or non-except employees (generally hourly employees). The combination of these two factors yields varying answers. If the employer choses to keep the workplace open, all employees, exempt or non-exempt, are expected to report to work. In the event that an employee indicates that they cannot make it to work due to the inclement weather, the employer is not required to pay them for the day. If the employee is exempt the Department of Labor has stated that the employer has the option to either require that the employee use vacation time or accrued leave to cover that day or to take a full day deduction from the employee’s salary. If the employee is non-exempt and chooses not to report to work due to the inclement weather, the employer is not required to pay the employee. If the employer closes the workplace for the day, additional factors come into play. For exempt employees, the employer can require all employees to use vacation time or accrued leave but, pursuant to the Fair Labor Standards Act, cannot deduct pay from an employee’s salary. Therefore, if an employee has vacation time or accrued leave available, the employer can require they use such time. If they do not have such time available, the employer can require that the time be made up at a later date. When non-exempt employees are involved, the additional important factor is notice of the closure. If the employer closes the workplace but the employee reported to work anyway, the Massachusetts Reporting Pay regulations require that the employee be paid for at least three hours of hourly pay. If the employer can demonstrate that it contacted the hourly employee in advance of the starting work time and the employee does not report to the workplace, the employer does not have to pay the hourly employee for the work day. Caution should be exercised to ensure compliance with the Massachusetts Reporting Pay regulations as violations of such regulations carry significant fines. It should of course be noted that in all instances, the employer should have an Employee Handbook which provides a detailed description of the inclement weather policy along with other important policies. All employees must be provided with a copy of the employer’s policies at the start of employment or upon the change of any policies. 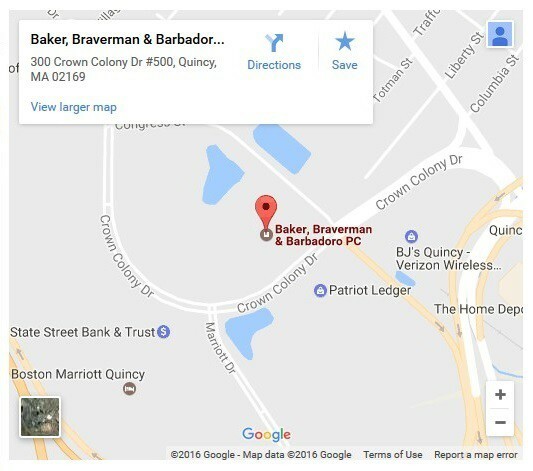 From our centrally located Quincy office, Baker, Braverman & Barbadoro, P.C.’s corporate and employment law attorneys are available to assist employers in drafting employee handbooks and in assessing the appropriate inclement weather policy for their type of business and employees.